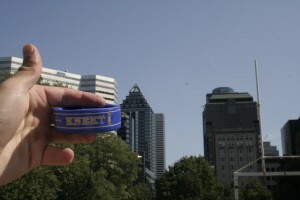 Manufactured by Fiedler & Lundgren, Knekt Loose is a regular strength snus with 8mg of nicotine per gram of snus. 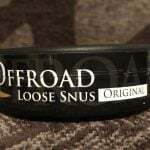 Each can contains 37 grams of loose snus. 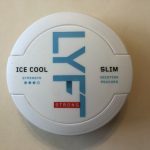 F&L are the creators of other popular brands of snus including Lucky Strike and Mocca, which I enjoy quite a bit. I found it pretty interesting to note that the Knekt logo incorporated a fleur de lis, which is the symbol of Quebec (where I’m from!). Upon opening my can of Knekt, the first thing I noticed was a strong tobacco aroma, which complemented by a slight hint of bergamot. The taste reminded me of a cross between Lucky Strike Original and General Original, and it was very pleasant. The tobacco flavor lasted for about an hour before it slowly began to become increasingly salty. After about an hour and fifteeen minutes, it became too salty for my tastes. I formed my portions with my Icetool, and they came out quite well. The nicotine kick came on after about 7 minutes, but it was fairly weak compared to other brands that I’ve tried. There was very little drip with this snus, and I only began to experience a slight drip after about an hour with a pris in. Overall, I enjoyed Knekt Loose quite a bit. The tobacco flavor was quite tasty, and it was complimented by a slight herbal flavor. I recommend Knekt to those who are looking for a pure tobacco flavor, with only slight undertones of other tastes. 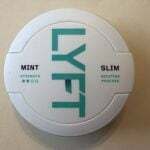 I also recommend it to those who are new to snus, as I found the nicotine kick was rather weak.